Nashville has some new company. Deadline reports The Voice of Holland star Ilse DeLange has joined the CMT series’ sixth and final season. On the country music drama, DeLange will be playing “Ilse, a judge on Nashville‘s singing show within the show.” She joins regular cast members Hayden Panettiere, Charles Esten, Clare Bowen, Sam Palladio, Chris Carmack, Jonathan Jackson, Lennon Stella, and Maisy Stella. 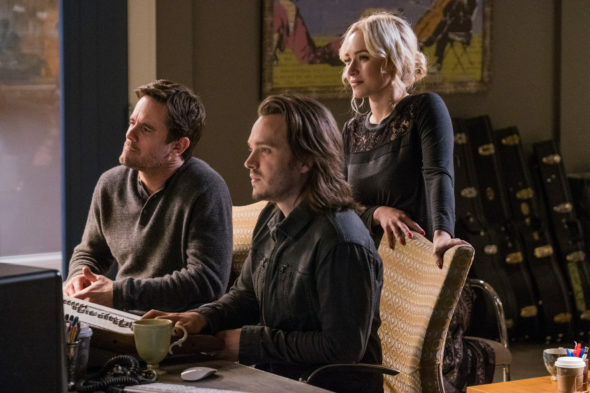 The sixth and final season of Nashville premieres on CMT on January 4th at 9 p.m. ET/PT. What do you think? Do you watch Nashville? Are you excited for the final season? I’m sad it’s ending but understand since Rayna left the show isn’t the same! I am excited for it to come back but sad that it’s ending so soon..